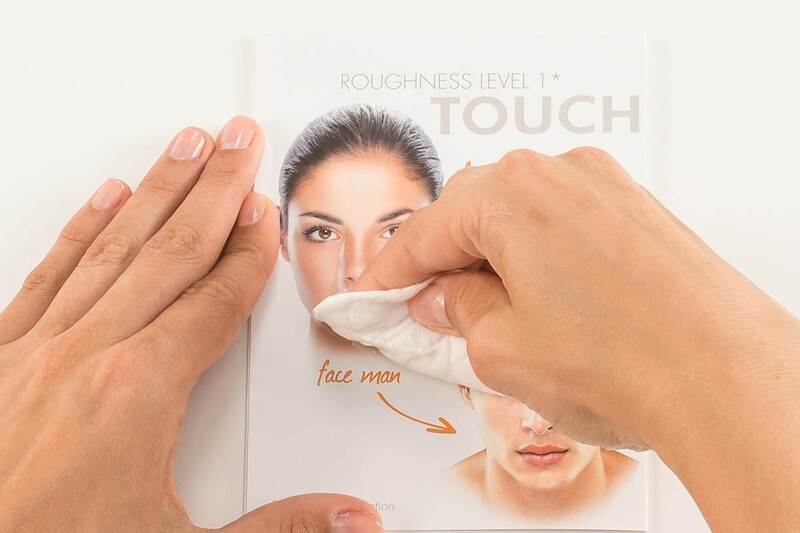 USP Solutions’ Roughness Demo is an easy-to-use and reliable tool which appeals to your consumer’s senses – enabling them to touch and feel your brand, demonstrating the “smoothing” factor of your beauty product. 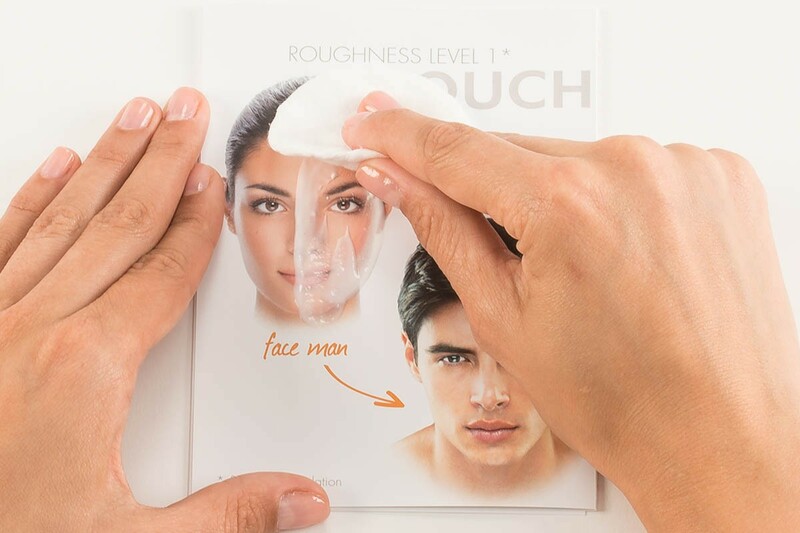 The Roughness Demo Tool demonstrates your product claim. It allows the consumer to feel the improvement. 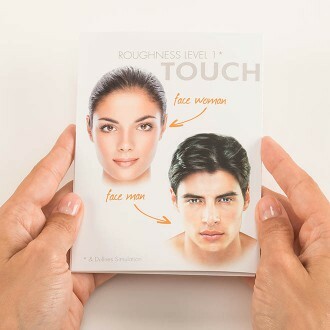 The female and male images feel rough when touched with the fingers. To prove a product claim apply your lotion on half of the face. 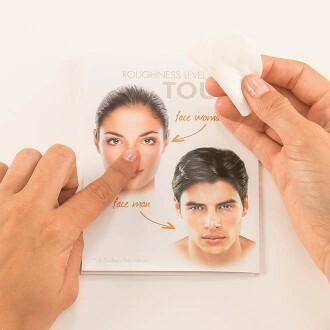 Use a cotton pad to remove excess lotion or cream. 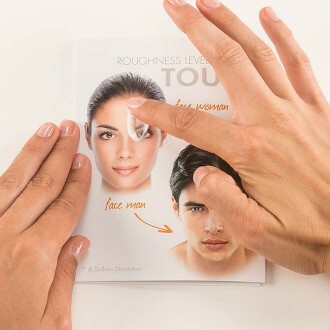 When moving your fingers over the images again, a clear improvement is felt, where your product has been applied. Through a haptic experience consumer are able to feel the effectiveness of a product immediately. They experience an “A-ha” moment through your brand activation. This haptic and emotional experience is also referred to as “Beauty Moment of Truth”. Consumers are often overwhelmed by the variety of products available and are unsure about product claims. How do you, as a Marketing Executive, guide consumers prove the superiority of your product? How do you get attention and raise awareness in the first place? Most of the time consumers feel overwhelmed by the great variety of skin care products available. Uncertain about their skin needs they find it difficult to choose “the one”. How do they know if the product holds what it promises? Which product fits my skin type best? 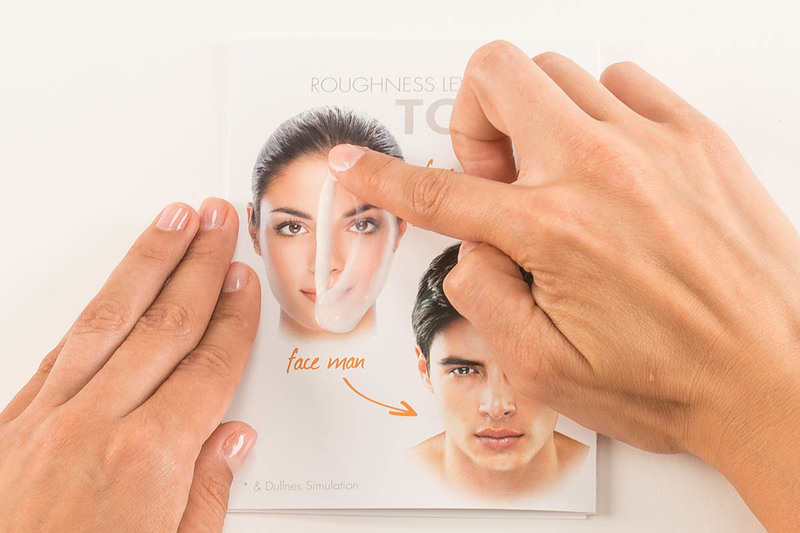 The USP Solutions Roughness Demo Tool enables your cosmetics brand to design an emotionally engaging and tailor-made “Beauty Moment of Truth”. 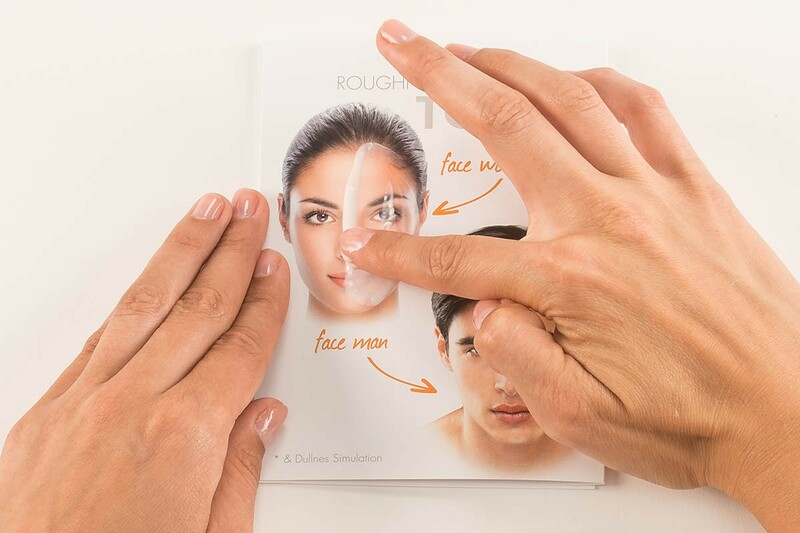 We can easily customize the Roughness Demo Tool and adjust size, shape, material, printing effects and more – so the tool perfectly reflects the uniqueness of your brand. The cooperation with USP was very pleasant and uncomplicated. We were satisfied 110%!